Whole house filters, sometimes called “Point of Entry” filters, are placed as near as possible to the entry of water into your house. As a result, they filter ALL your water, both drinking and cleaning. They tend to involve fewer processes than so called “Point of Use” filters such as under the sink filters, as you typically do not need your bathing water to be quite as pure as the water you consume. 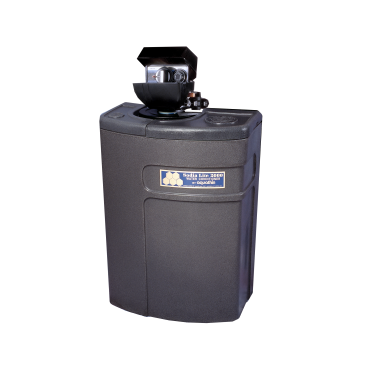 The Megachar is the primary “Whole House” filter we supply. 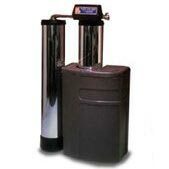 Water conditioning units, sometimes called Water Softeners, remove magnesium and calcium (and sometimes other “positively charged” metals) from water. Soap is more effective in the resulting, “soft” water, making it easier to clean your laundry and dishes, and with less detergent. Also hard water causes limescale to build up in your pipes, significantly reducing their lifetime and causing various plumbing problems. 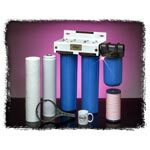 This page also shows the filters and parts we recommend for systems connected to well water rather than city water, particularly where there are specific identified contaminants in the water. 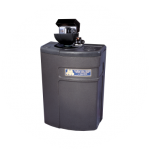 The Megachar is a GAC filter that ensures chlorine and other organic contaminants are removed from all your working water (bathing and cleaning). 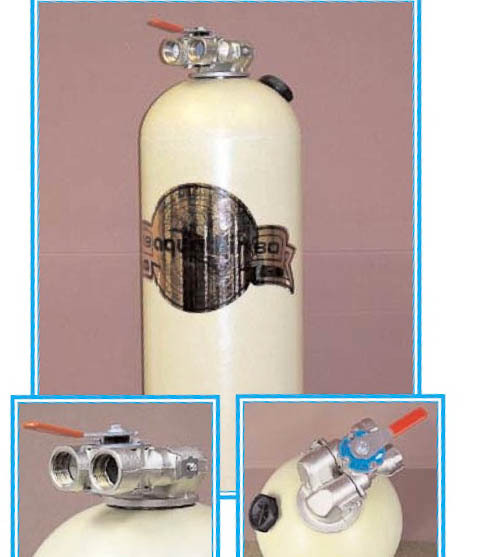 Often supplied with the Soft & Clean series to provide control. Removes calcium, magnesium (hardness), and up to 5 ppm of iron from all your house water, to make your baths and showers feel fresher, detergents more efficient in washers, and to prolong the life of your pipes. 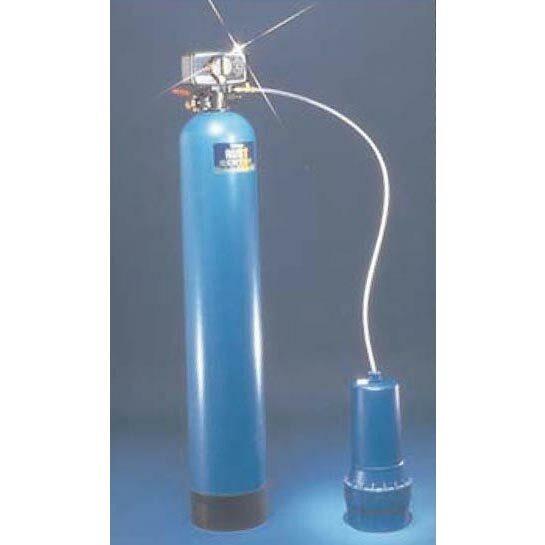 Extends the capacity of the Soft & Clean Series by offering twin fibreglass resin tanks controlled by a single valve. 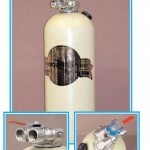 Potassium Permanganate based filter that removes iron, manganese and hydrogen sulphide gas. Calcium Carbonate (Calcite) pre-filter to neutralise pH of water before entry into the house. 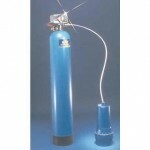 Whole House filtration for environments requiring significant pre-filtration.